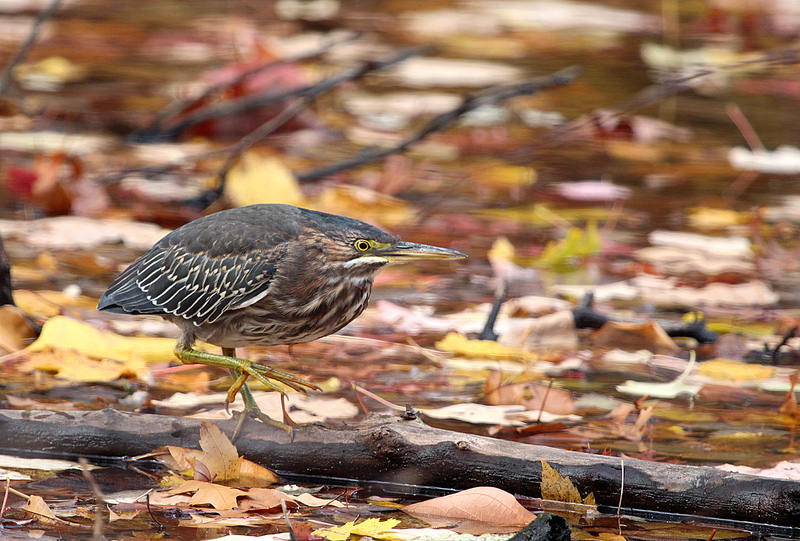 Green Heron in southern Connecticut, November 2013. So let’s just jump right into the first post. November has been a great month for birdwatching so far, at least from my perspective in southern New England. 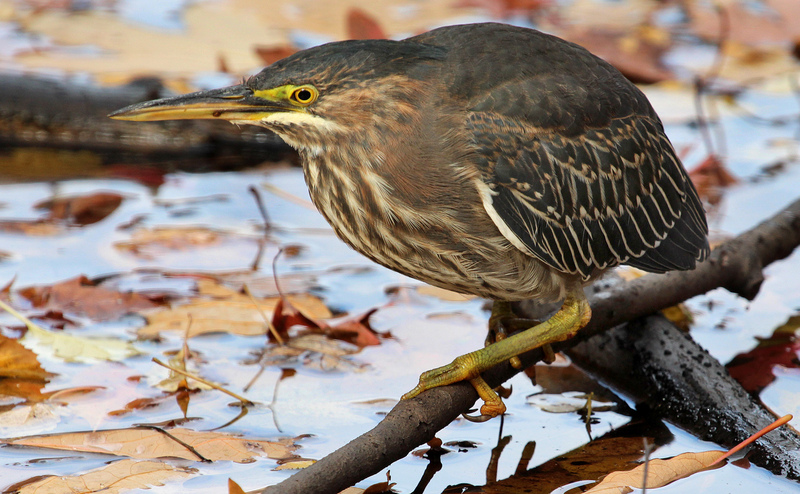 On the first Sunday in November, I spotted a Green Heron at Selleck’s/Dunlap Woods, a Darien Land Trust property. 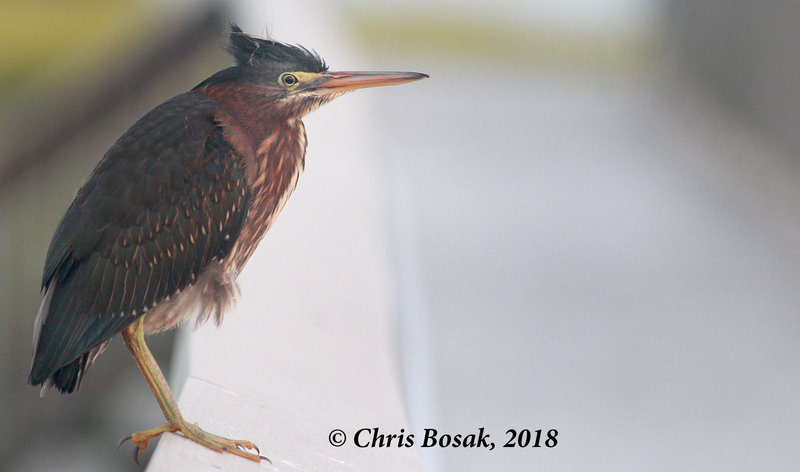 I’ve seen plenty of Green Herons at this property before, but never in November _ or even October or late September for that matter. It was interesting to see the crow-sized wader surrounded by fall foliage. 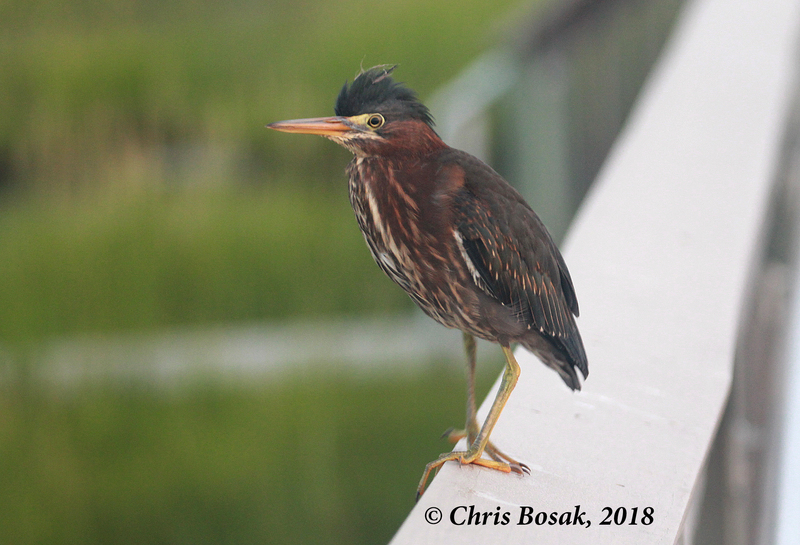 The Green Heron sighting followed an hour-long stretch whereby I sat in a dried-out swampy area and watched as Golden-crowned Kinglets, Ruby-crowned Kinglets and Yellow-rumped Warblers hopped along the ground among the weeds and grasses looking for seeds. Previous highlights that weekend included an Eastern Towhee, Brown Creeper and Winter Wrens.